Discussion in 'iPhone and iPad Games' started by PeteOzzy, Apr 6, 2015. New sense!! 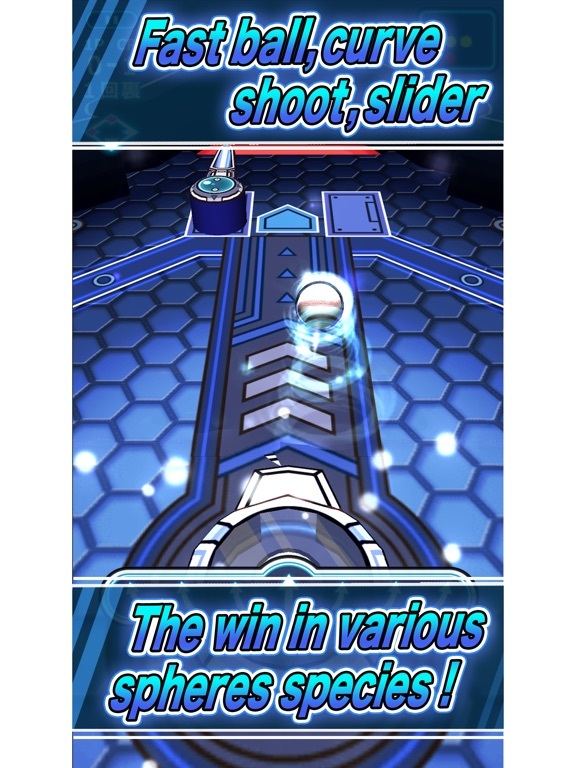 Exhilarating sports games! Baseball board and pin ball coalescence of nostalgia! Simple operation! [Attack] Let shake a bat Tap! After that was jumped to play the ball with the flipper! 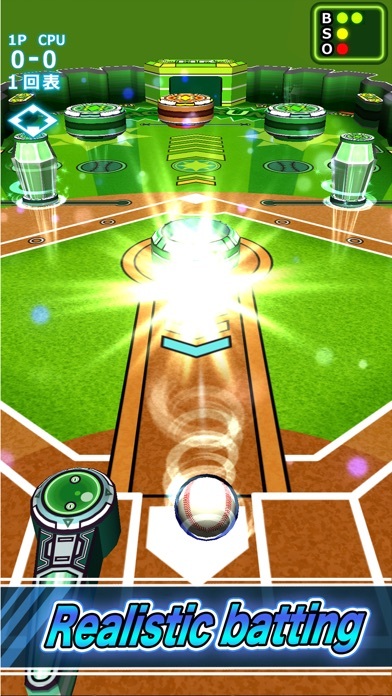 [Defense] Let's throw a ball in touch & drag! Is thrown a curve ball by the location where you want to touch! ■ game operation method to choose ■ ● 1 Player I play carefully alone! Amateur mode ... normal mode first from here! However, licking Do not take me! · No shortage for professional mode ... opponent! ... Equivalent formidable! 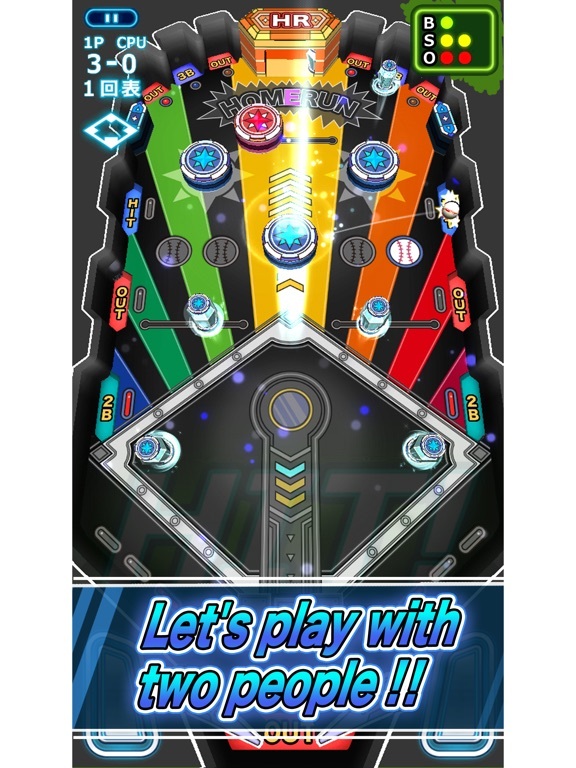 · Major League mode it is not impossible ...! 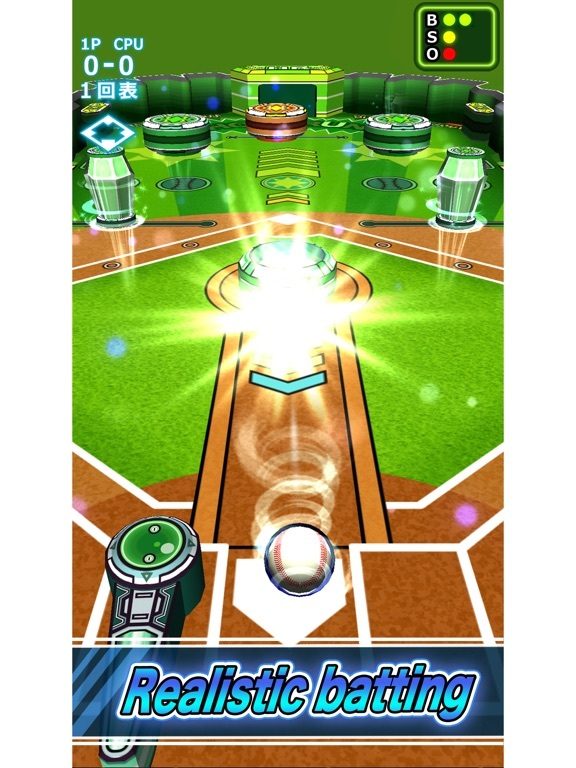 Major League ball to struggle you! (Coming soon) ● 2 Player In two player, I rise to why abnormal! ● background design Select the near future blue honeycomb or baseball version of Green Grass ● game inning number Choose one 3 times for 5 times ● flipper operation Twin mode (operation at the same time both the left and right flipper with one hand) Select a single mode (operation the left and right flipper separately) ■ game introduction ■ · Exhilarating effects and sound, and is a full-fledged game of immersive to stimulate in your brain! Rules easy! 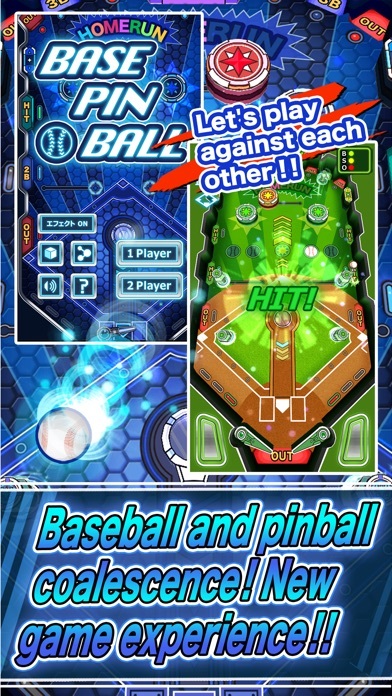 Baseball and pinball I enjoy at the same time! 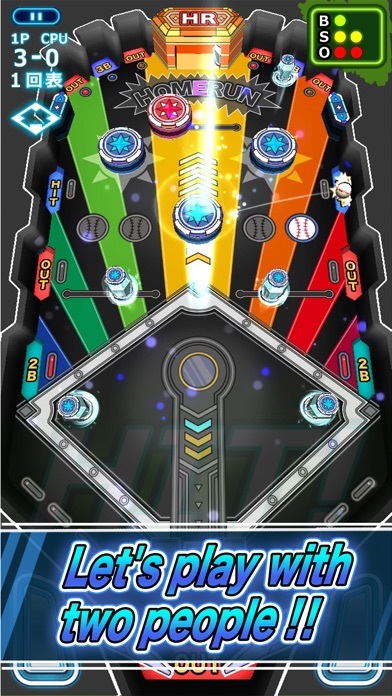 [Time of the attack] Pitcher firmly the corresponding travel batting in colorful balls that come throw! [Defensive when] Speed changes in the tensile operation of course, strike, ball, straight, curve, slider, is divided throw a variety of pitches, such as Shoot. 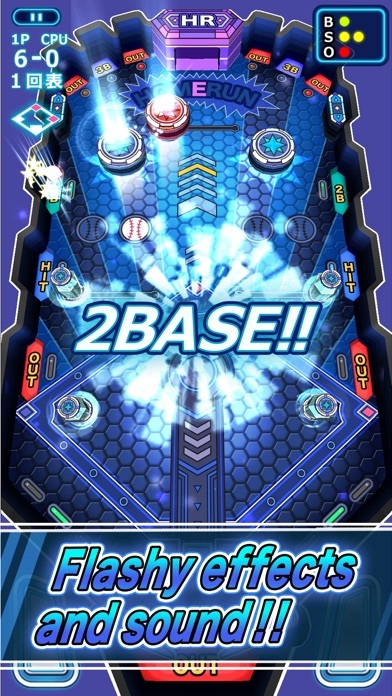 Home Run Three base white defense in Crystal! 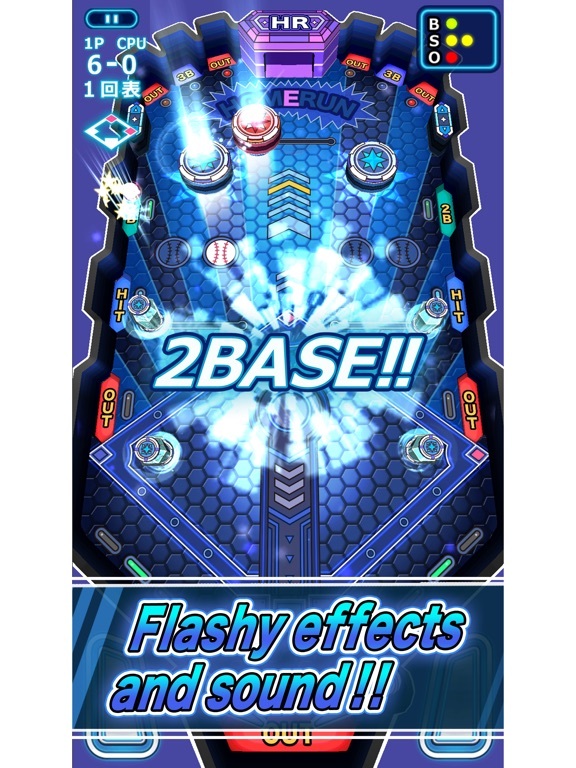 ■ flashy effects and sound! Exhilaration preeminent in the exciting action that jet bumper begins to play! Not experience the game play is waiting for you! I enjoy a wide range regardless of the age from adults to children. 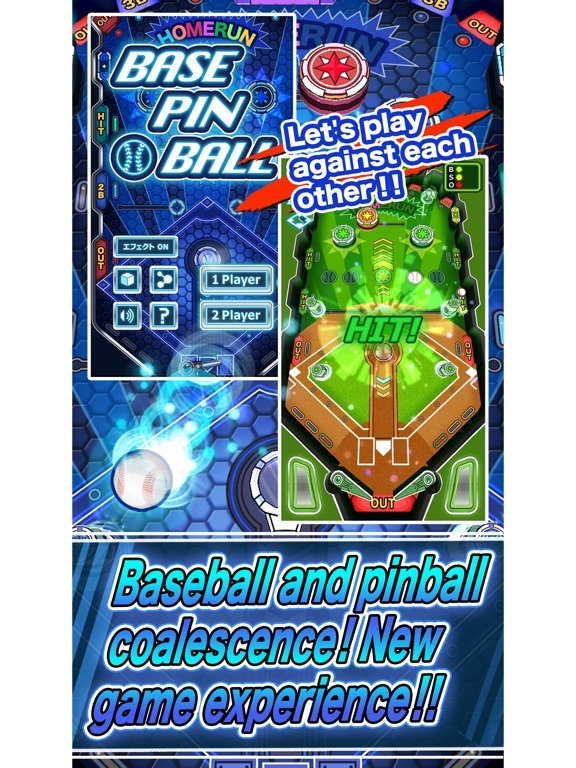 It's this BasePinBall! ※ Please try after you restart the terminal when the operation is heavy apps. Pretty cool but there isn't much to this. 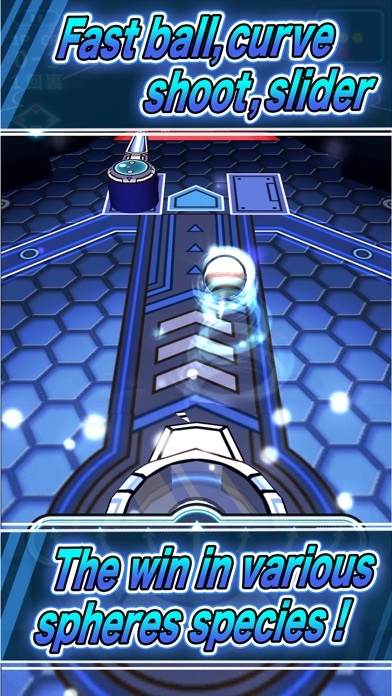 If this had a local two player mode that would help add some replay.